Our mission is to be a community where artists have access to the resources and opportunities they need to thrive. Established in 1993, ART BIAS is home to 33 studios with room for 33 to 40 artists. We promote the visual arts in our local communities and the greater Bay Area by providing affordable studio space, art classes, arts activities in the community, scholarships for instruction, and art-oriented events and exhibits. 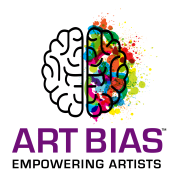 ART BIAS is a 501c3 non-profit. Over the twenty year plus history of the center, we have provided free art programs for community members of all ages and abilities. Would you recommend ART BIAS (formerly The Art Center of Redwood City & San Carlos)?